I’m looking forward to Thursday’s CHSFS webinar on privacy issues around adopted children’s stories on the Internet. Registration and other details are available here. Please join Aselefech and me (July 18, noon-1pm Central US, 10am Pacific US, 1pm eastern US, 8pm Ethiopia and FInland, 2am Korea.) Don’t see your time zone listed here? 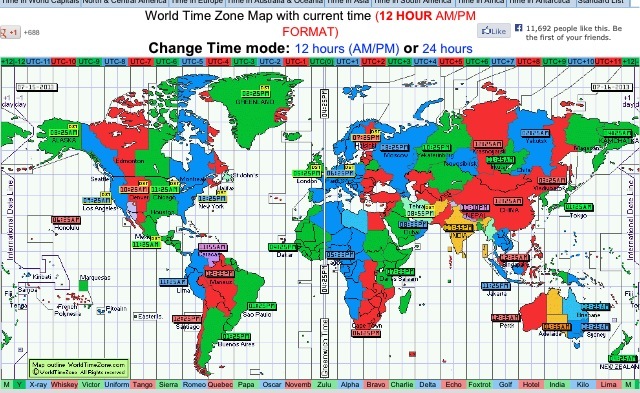 Check out a World Time Map. I love maps. We’ve thought a lot about this topic, my daughter/co-presenter and I. We have finished the PowerPoint, and a couple of slides are included here. Sneak preview. There is so much to talk about and think about. It’s going to be a lively conversation. It’s complicated, but some things seem clear. If you are not able to join us, CHSFS will have the recorded webinar available. I wrote about the webinar previously here. I plan to write further about the subject as well, because there are volumes to say about what, how much, and with whom adoptive parents should share information on the Internet–especially if the information belongs to an adopted child, who grows up to be an adult. Privacy in Adoption: Sacred Cow or Tired Scapegoat? Next Thursday, July 18, Aselefech (my daughter, Ethiopian adoptee, young adult) and I will present a webinar titled “Whose Story Is This? Protecting Your Child’s Privacy.” Details and registration are available here; the webinar is being provided as an educational event by Children’s Home Society and Family Services. We will be talking about how, when, and whether parents should share their adopted child’s story. In the course of researching and preparing, I’m reminded at every turn about how the Internet and social media have changed everything in adoption, certainly since I adopted my children 20+ years ago, and indeed within the last 10 minutes. The notion of “privacy” (sharing information only with those to whom it is relevant) seems quaint, if not archaic, in the context of Internet. In adoption, there was a time when the prevailing wisdom was that children (mostly placed same race, as infants) didn’t need even to be told they were adopted. Transracial adoption, open adoption, and better awareness of adoptees’ rights have changed all that. The pendulum of social media has swung so heavily that now prospective parents post on-line regularly looking for babies, adoptees (somewhat) easily find their first family on-line, and adoptive parents blog in great detail about their adoption process, their family, and their children’s history and issues. One study I came across said that 92% of children in the US have an Internet presence before the age of 2. Wow. Of course, it’s not just parents promoting their children via photos and cute stories. The kids are following Mom and Dad’s example. The Sesame Workshop/Joan Ganz Cooney Center published a report in 2011 that 25% of all 3 year olds go on-line daily. By age 8, close to 70% of children use the Internet any given weekday. Some 50% of children age 6-9 are online daily. I realize much of that time is spent on games and apps, but as the child grows, that changes. In my anecdotal experience, 100% of teenagers are on-line (texting, sexting, chatting, Tumblring, Instagramming, FaceBooking) 100% of the time. Given these realities–that everything has the potential to be shared with everyone, around the globe, to infinity and beyond–how much privacy should an adopted child have regarding his/her story? How much sharing by adoptive parents is too much? But the real question may be this: Whose needs are being met? In the webinar, Aselefech and I will talk about that question, plus the statistics and some real-life (if you consider the Internet real-life) examples. Here is one I am mulling over; there are dozens of similar posts on-line. An adoptive parent has a public blog, and posts about an 8-year-old child. The child’s multiple mental health diagnoses, medications, and disturbing behaviors are described. Reaction to the posting is mixed: some people are hugely supportive and grateful, some people are outraged and saddened. The parent says the child gave consent and permission to share the story. The parent posted the child’s story in an effort to remove the stigma of mental illness, and to encourage other families to seek help and know they are not alone. If the subject were cancer or autism, would the criticism have been as strong? I struggle with the notion of whether a young child can genuinely give consent: maybe the child wanted to please the parent, and agreed without really knowing what the disclosure of personal information could mean, especially in the future. It’s within the legal rights of parents to share whatever information they want about their children, but there is a moral or ethical element to consider as well. As my mom used to say, “Just because you can, doesn’t mean you should.” There is no question that many people were grateful for the blog’s openness, and supported the writer fully. I question whether a child’s privacy should be sacrificed to help strangers–that seems to me to be the dilemma. 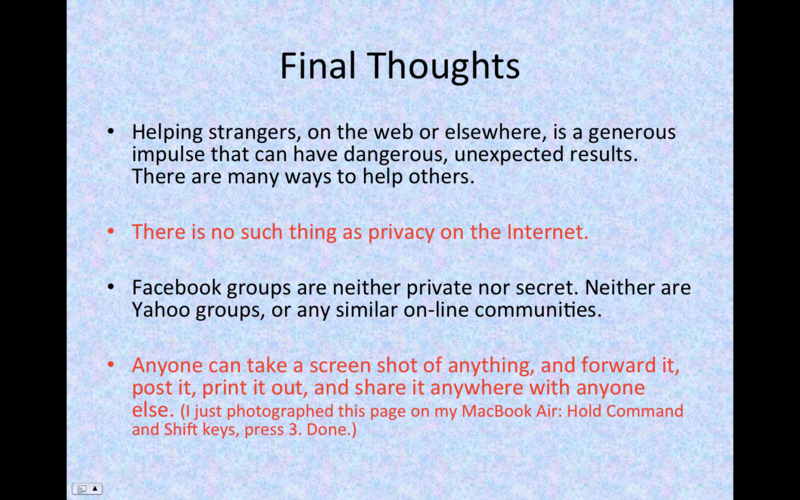 A few final thoughts: There is no such thing as privacy on the web. Not even in “closed” or “secret” Facebook groups. Can you say “screen shot”? Whatever you post lives on for at least 7 years, or, more likely, forever. A survey by GuardChild.com reported that 52% of the girls surveyed could read their parents’ email. which suggests that an equal percentage does so. Passwords matter, parents. 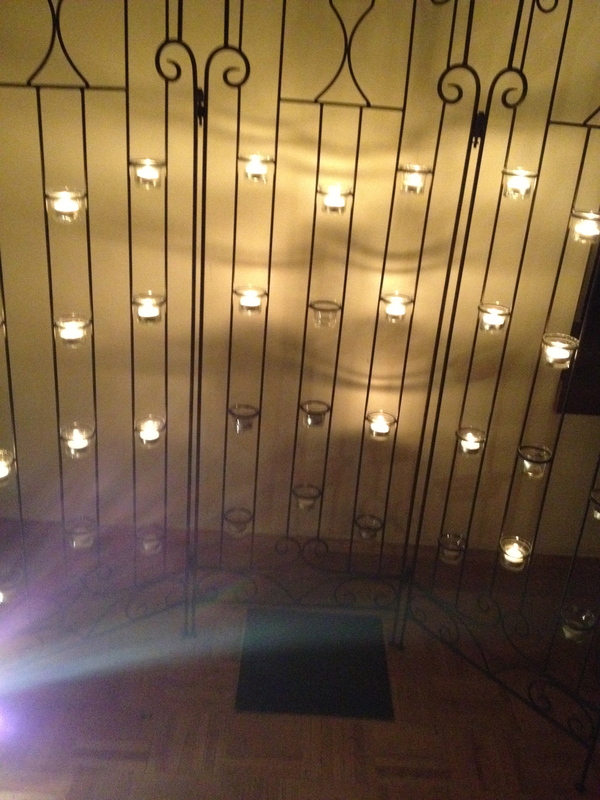 My thanks go to Cindy Rasicot for her insights and ideas about all this. A robust, controversial, emotional, and complicated topic: Privacy and adopted children’s stories. How much is too much to share? 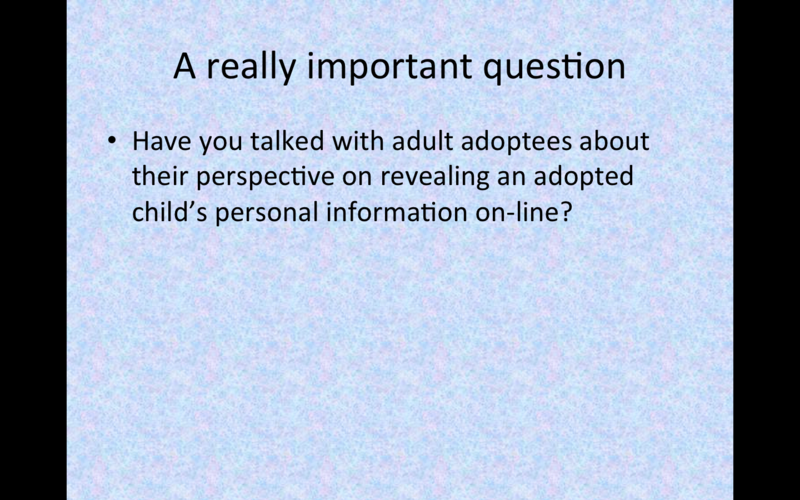 Do adoptive parents have the right to share some or all of their child’s information? If yes, with whom–friends, family, strangers in the grocery store? What about sharing a child’s personal story (or behaviors, medications, history) on a blog or in a Facebook group? My daughter Aselefech and I will be talking about this knotty topic via a live webinar Thursday July 18, noon-1pm cdt, sponsored by Children’s Home Society and Family Services. Information about the webinar is available here. Feel free to send me any thoughts, questions, comments prior to the webinar, either here on the blog or to maureen@lightofdaystories.com.